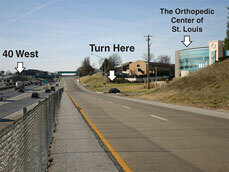 The Orthopedic Center of St. Louis is a group of ten sub-specialized orthopedic surgeons. 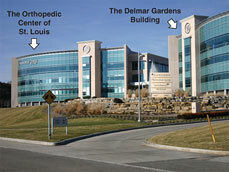 Our physicians care for injuries or illnesses that affect the bones, joints, ligaments, tendons, muscles, and nerves. This includes conditions such as sprains, strains, fractures, hyperextensions, tendonitis, bursitis and arthritis (see orthopedic patient information). Doctor Please Choose A Doctor Mahesh R. Bagwe, M.D. David M. Brown, M.D. Luke S. Choi, M.D. Matthew F Gornet, M.D. Lyndon B. Gross, M.D. PH.D John O. Krause, M.D. Nathan A. Mall, M.D. Mark D. Miller, M.D. George A. Paletta, Jr, M.D. Mitchell B. Rotman, M.D.